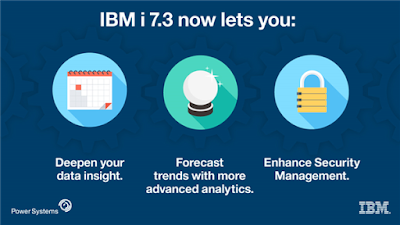 After months of speculation this morning the wait is finally over as IBM has announced the new release IBM i 7.3 and the technology refresh 7.2 TR4. It has been two years since the launch of the last release, and five months since the last technology refresh for 7.2 . Alas, this is the end of the road for technology refreshes for 7.1, as there is no equivalent TR. If your business is still using 7.1 now is a good time to start pushing for an upgrade to 7.2 . Only PowerSystem servers with the POWER7, POWER7+, and POWER8 processors will be able to run the new version of the operating system. If you have a PowerSystem server with either a POWER6 or POWER6+ you can upgrade to 7.2’s new TR. To my surprise, at the time of writing, there appears to be more information on the 7.2 TR4 enhancements page than there is on the 7.3 one, which even includes placeholders for further information. If you are feeling adventurous and would like to move to 7.3 you will not have to wait long as the planned availability date for the new release is April 15 2016, which is this Friday. For those wanting to move to the new TR4 will have to wait until next month, May 20 2016. The KnowledgeCenter for the new release is back online, this time with data within it, here. 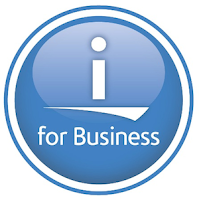 DB2 temporal support which allows tables to be identified as needing to have their history tracked, and DB2 will save older versions of the data as it gets updated. This will allow queries to be run to answer questions such as: “What was the data on June 1?”. New OLAP specifications, including an “extensive set of OLAP functions”. Authority collection/Intelligent security which will track all the objects an user comes in contact with, reports what authority the user has to those objects, and what is the minimum security that user could have and still use those objects. Fully free form source, well we knew that was available on the last TR for 7.2 . Built in function %SCANR that will find the last occurrence of the search criteria, rather than the first as %SCAN does. Length parameter added to /SCAN built in function to limit the amount of the source string to searched. Looking in the KnowledgeCenter for 7.2 the scan built in function changes are not in there. Is this just an oversight? Or will these not be supported in 7.2 TR4? You can see all the RPG enhancements for 7.3 here. Mike Cain: Significant Upgrades to the Database Engine! Nice. But where are the breakthroughs? Look at what Go, Python, C# do with web operations.